Estate Planning provides legal documentation regarding the Adult’s wishes for when they are no longer living. An example of an Estate Planning document would be a TESTAMENTARY WILL or a DEED OF GIFT. 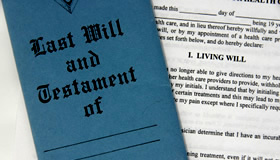 Your Will appoints an Executor wrap up your Estate. The Executor gathers up the estate, pays your debts and divides what remains of your estate among the “beneficiaries” (the people named in your will to receive a share of your estate). Choose an Executor you trust and who will likely still be alive when you die. He or she may be a trusted family member or friend; it helps if he or she is also a good book keeper and communicator. You should also appoint an Alternate Executor if the first Executor is unwilling or unable to act.